I’ve got my own team now, we are gonna canvas the area and take photos of everything, but focused on landscapes and any large mammals we see. 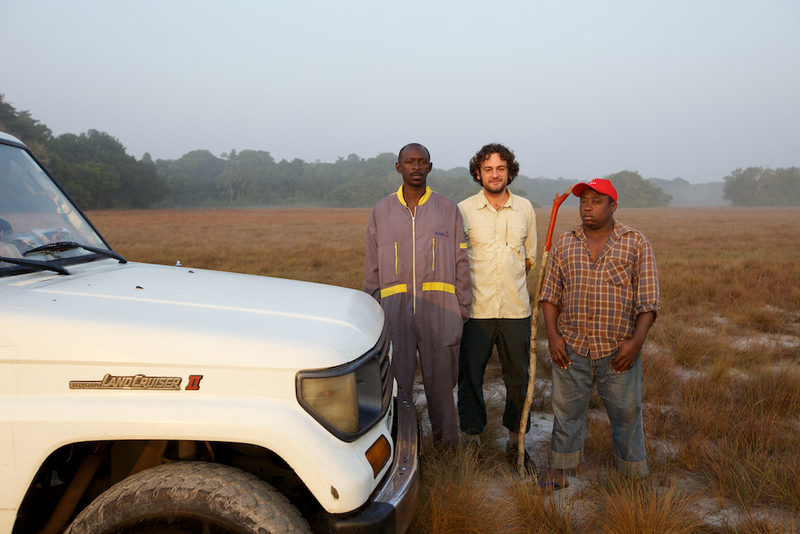 Its me, Guillaumier and Ghislain, and the awesome jeep landcruiser. Its basically a landcruiser cut in 1/2 so it has all the power but is small and agile. We headed to the beach near the Boume Boume, I had no idea it was so easy to get to the beach from there, the small mammal team had scooped it out while I was in Gamba. We walked north and south along the beach. 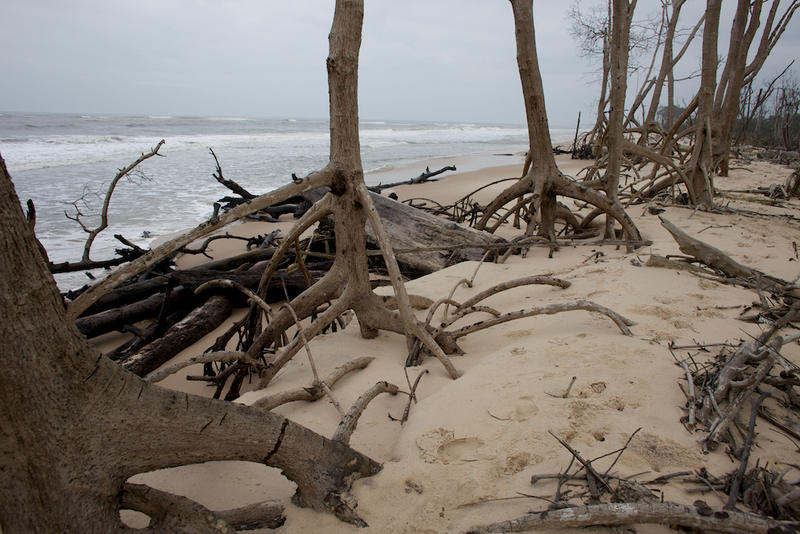 There was an interesting spot to the south were an old mangrove forest had died. I guess it was due to the fresh water no longer exiting at that spot, and the salt water taking over, but I am not sure. But I was sure that it was dead, none of the trees were alive except for a few on the edges. Kind of erie. To the north we hit the Boume Boume where it exits, not as dynamic but we did find more lagoons and mangroves that were alive. A nice pair of hippo tracks too. Afterwards we headed to Panga and I took photos along the road. I had not been to Panga much so I was kept busy with new things to photograph. We ran into the small mammal team and they mentioned some ducks in a lake near the road, so off we went. The lake is the flush with life and I could sit and fire away. 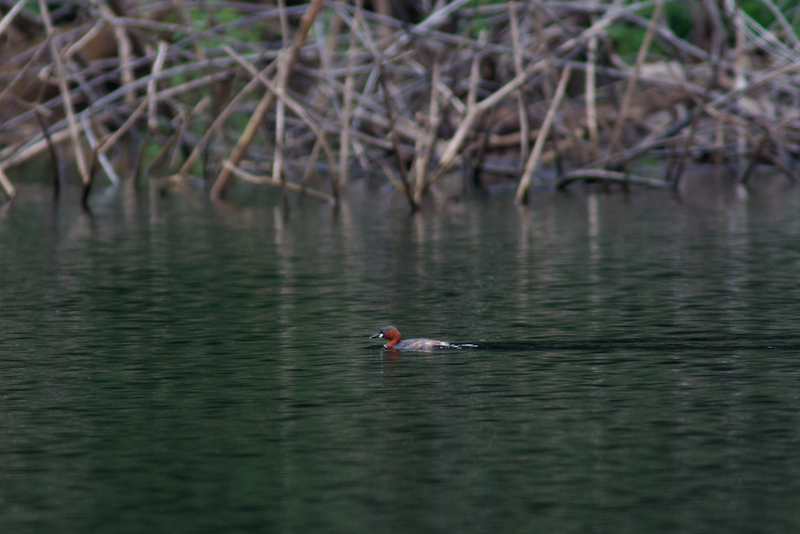 The ducks are hunting fish, and there are some other birds that hang out in the area in addition to insects. I spent the rest of the day here until it was time to head back to camp.